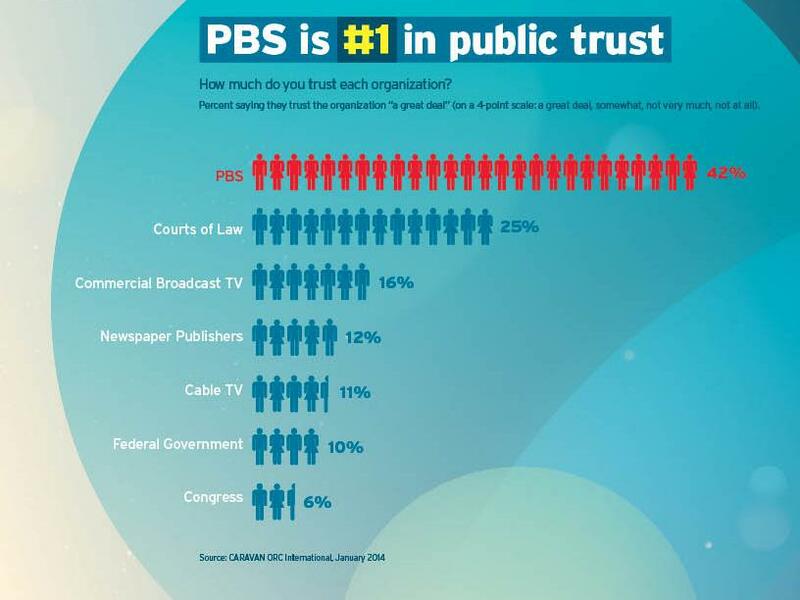 The 2014 study marks the 11th time in a row that PBS was called the nation’s most-trusted institution among a consideration set that includes courts of law, newspapers, and others. 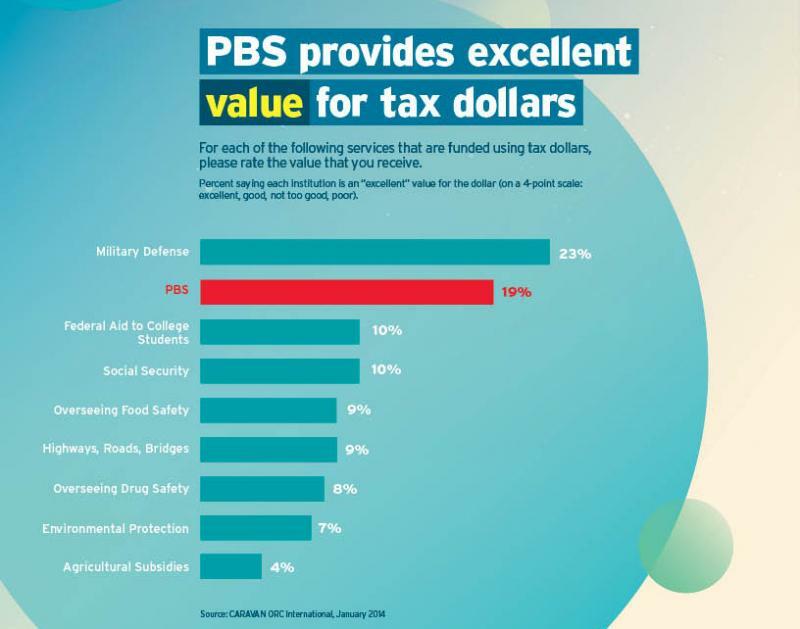 Only military defense outranked PBS as the best value for the American tax dollar. More than 4 in 10 respondents (44%) named PBS KIDS the most educational TV/media brand. This same survey found that the American public considers PBS KIDS the most educational TV/media brand, the safest place for children to watch television, the safest online media destination, as well as the top provider of content that helps children learn reading, math and essential skills. PBS KIDS significantly outscored cable and commercial broadcast television in each one of these categories. 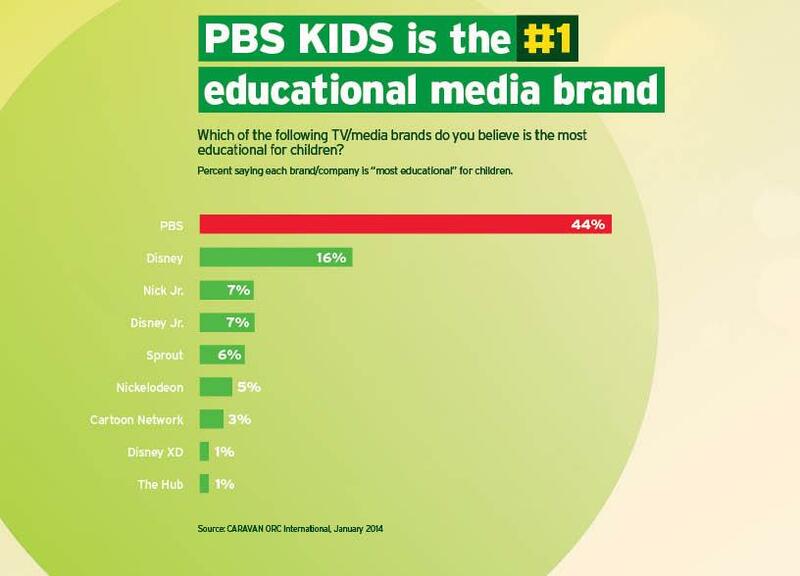 More than 4 in 10 respondents (44%) named PBS KIDS the most educational TV/media brand, significantly outscoring the second most highly rated brand, Disney, which was considered most educational by 16%.